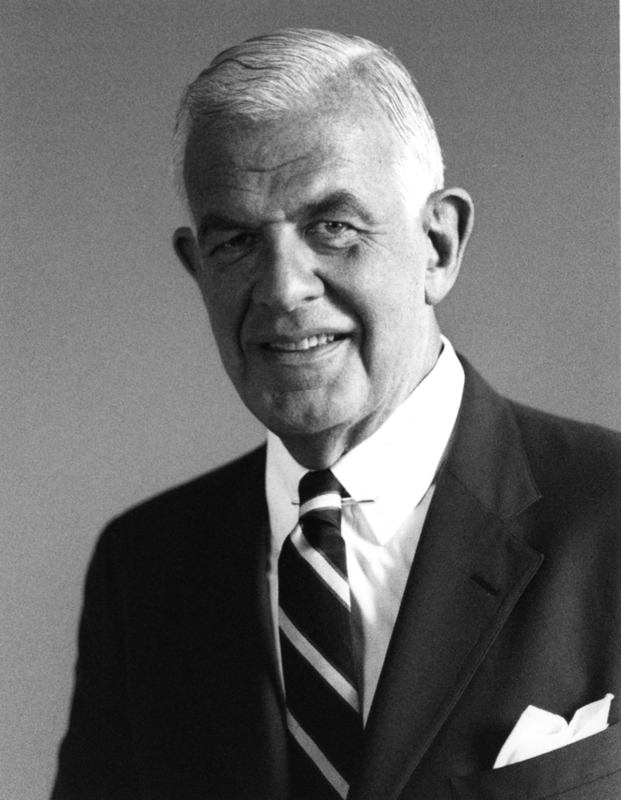 PULLMAN, Wash. – After three decades of distinguished public service, former Washington State Congressman and 57th Speaker of the U.S. House of Representatives Thomas S. Foley leaves a powerful legacy in public policy and education throughout Washington and nationwide. Widely admired for his quiet commitment to respectful leadership, Foley died this morning at age 84 at his home on Capitol Hill in Washington, D.C.
Foley’s extensive work history and dedication to political and educational ideals are embodied in two resources at Washington State University: the Thomas S. Foley Institute for Public Policy and Public Service and a collection of his Congressional papers (1964-1995) housed in the WSU Libraries’ Manuscripts, Archives and Special Collections, both available to the public on the WSU Pullman campus. 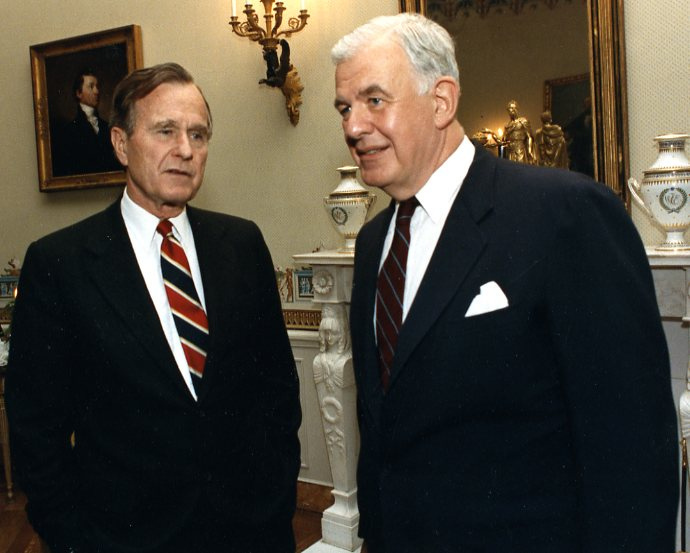 “Our country has lost a true statesman with the passing of Speaker Foley,” said WSU President Elson S. Floyd. “During his tenure in office and long afterward, he personified the intelligence, civility, humility and bipartisanship necessary to make wise public policy happen. “His commitment to research and education was evident in everything he did; we are dedicated to honoring and advancing that legacy at the Thomas S. Foley Institute for Public Policy and Public Service at Washington State University,” Floyd said. A native of Spokane, Foley was a Democratic representative of the Fifth Washington District from 1965 to 1995 and House speaker from 1989 to 1995. He later served as U.S. ambassador to Japan (1997-2001). During his 30 years in Congress, Foley built a reputation for not only responding actively to his constituents’ concerns but also skillfully bringing Democrats and Republicans to the table to resolve issues of the day. This strength of character held him in great stead with voters and fellow politicians alike. Born March 6, 1929, Foley was a true product of his eastern Washington Congressional district—the third generation of a family that settled in and around the Spokane area. His father, Ralph Foley, became the longest-serving superior court judge in the state’s history with a 35-year tenure, according to Foley’s memoir, Honor in the House, written with Jeffrey Biggs. The senior Foley impressed upon his son the importance of social justice and the role of government in solving problems. After graduating with a bachelor’s degree in history in 1951 and a law degree in 1957, both from the University of Washington, Foley briefly practiced law with a cousin in Lincoln County. In 1958, he took the Spokane County deputy prosecutor position and, in 1960, was appointed assistant state attorney general for eastern Washington. An unsuccessful bid for U.S. attorney for eastern Washington in 1961 turned into an opportunity that paved the way for Foley’s political career: working as special counsel for Washington Sen. Henry Jackson and the Interior and Insular Affairs Committee. From Jackson, Foley learned to be mindful of all issues, big and small, coming from constituents back in their home state, according to Honor in the House. Though Jackson encouraged Foley to think about running for Congress as early as spring 1963, it wasn’t until the summer of 1964, that Foley took the plunge—literally at the last minute. Foley related in his memoir that, on the drive to Olympia from Seattle on July 16, 1964, the deadline to file for the election, he and a friend contended with a late start, a flat tire and an empty gas tank just outside the Olympia city limits. Foley filed as the only Democratic candidate for the Fifth District congressional seat at 4:45 p.m., 15 minutes before the election superintendent’s office closed. In fall 1964, Foley ousted 22-year Republican Fifth District Congressman Walt Horan, riding a wave of popular support that put 71 Democratic newcomers in the House the same year Lyndon B. Johnson was elected U.S. president. 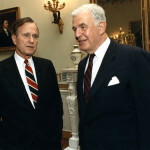 Foley’s leadership arc included elected positions as chairman of the House Agriculture Committee in 1975, House majority whip in 1980, majority leader in 1987, and speaker of the House in 1989, and his appointment as ambassador to Japan in 1997. Bird met with Foley four times and interviewed dozens of his Congressional colleagues, former staff members, Congressional reporters and former political opponents. In an ironic parallel to his own start in Congress, then-Speaker Foley was unseated during the November 1994 election by George Nethercutt, the Spokane County Republican chairman who was also new to public office. Bird noted that Foley was the first speaker to lose in his home district since Abraham Lincoln was president. The Republican Party also gained dominance over the House in that election, claiming 52 seats. The end of Foley’s political career signaled a change into a new career of sorts—education. In 1995, the Foley Institute was established at WSU as a way to not only honor the former speaker’s legacy but also open scholarly work into civic education and the policy interests Foley championed during his longtime service. Foley’s donation of his Congressional papers to the WSU Libraries includes an extensive collection of correspondence, reports concerned with his legislative efforts, press and public statement materials, and many of his audio and video recordings. Election campaign papers and materials about Foley’s various leadership posts are also in the collection. “With the help of a Congressional endowment in 2000, the Foley Institute launched a robust program of hosting public affairs events and conferences, supporting public service through student internships and further promoting public policy research and education,” said Clayton. “Many thousands of students, faculty and members of the public have benefited from Tom Foley’s engagement with the institute. Thomas S. Foley is survived by his wife, Heather Strachan Foley. Gifts to support the Thomas S. Foley Institute for Public Policy and Public Service at WSU can be made to the Foley Congressional Endowment Fund.